Yesterday was the first official UK screening of an Independent Film I’m in called Just Charlie. By Seahorse Films. Trailer below!! It’s been beautifully directed by Rebekah Fortune, skilfully and sensitively written by Peter Machen and brilliantly produced by Karen Newman. It stars the fantastic Scott Williams (whose work I’ve watched and admired for years), the wonderful Patricia Potter and introducing Harry Gilby in the title role. Harry Gilby: remember that name, as I have no doubt you’ll be hearing a lot from the gorgeous young actor in the future!! It deals with the issue of transgender. It as a subject is only just just starting to really hit the spotlight recently. The dialogue is being had more and more over the years because of hi profile people like Frank Maloney now thankfully living as her authentic self Kellie. But media frenzy hit when Bruce Jenner now Caitlin openly discussed her life long struggles. Whatever you might feel about Caitlin not truly representing the Trans community, she certainly sparked the conversation… globally.Laying bare for others to speak out and more importantly NOT suffer in silence. It certainly wasn’t a subject for many films. We had the runaway hit the wonderful yet (back then VERY edgy) The Crying Game. Since then not much really, at least to my knowledge. What makes this film so so special is it tackles it from a young persons perspective. As mentioned earlier the suicide rate and attempts amongst Trans youth is so incredibly alarming. The more we see stories in Film and TV reflecting and representing the community. The thoughts and feelings behind the headlines. The more it will be accepted by a sometimes closed minded society. 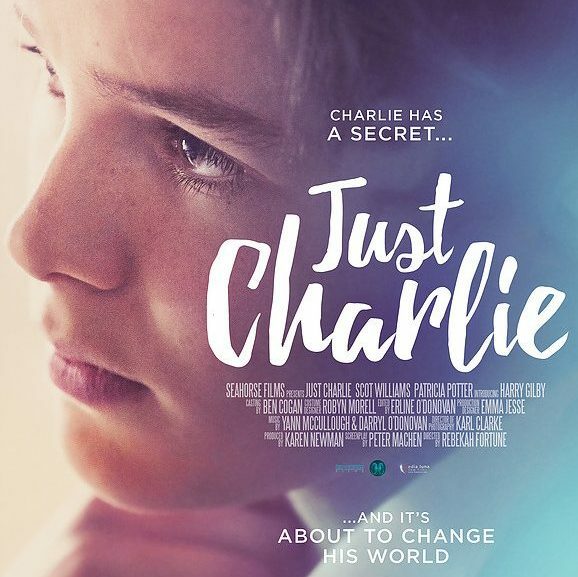 Just Charlie Teaser Trailer from Seahorse Films on Vimeo.